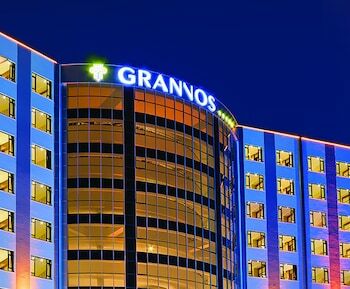 Located in Haymana, Grannos Thermal Hotel & Convention Center is connected to the convention center, within a 5-minute drive of Children's Park and Adnan Sevinc City Stadium. Featured amenities include a business center, complimentary newspapers in the lobby, and a 24-hour front desk. Event facilities at this hotel consist of a conference center and meeting rooms. Free self parking is available onsite.